Number 18 is a fine example of a Dublin commercial premises of the extended Georgian period. Four storeys over a basement with a commercial shop at ground floor level, is has the added complexity of an earlier 18th-century building connected at each floor level to the rear. 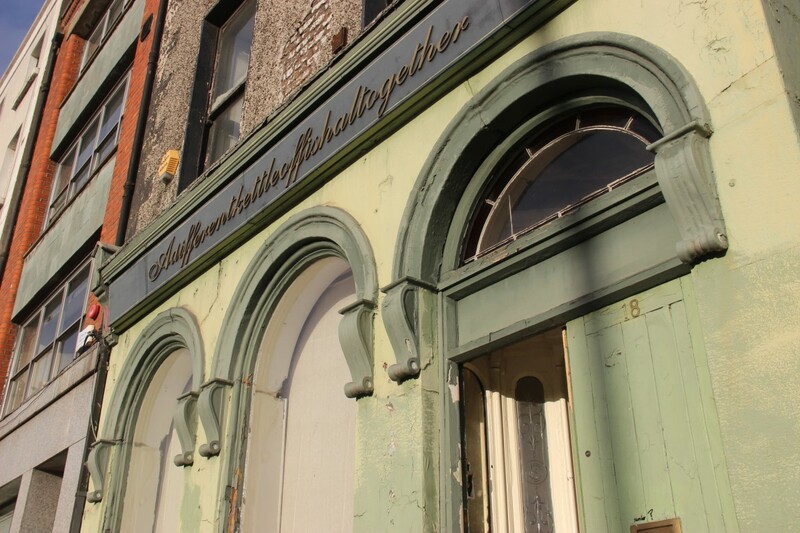 Both buildings are constructed in the common Dublin manner using mass masonry brickwork with timber-joisted floors, bonding timbers in the walls and slate-clad timber roofs (the back building lost its original pitched roof to a flat roof in the 20th century). Both buildings feature the elegant proportions, charm and character expected of period houses of this kind. However, they exhibited a number of structural problems that required addressing before the historic interiors could be conserved. The exterior of the front building at Number 18 was comprehensively conserved during 2017-2018, while the rear building now awaits a similar treatment. The greatest challenge Number 18 faced was a significant outward lean to the side wall which visibly bulged onto Arran Street East. 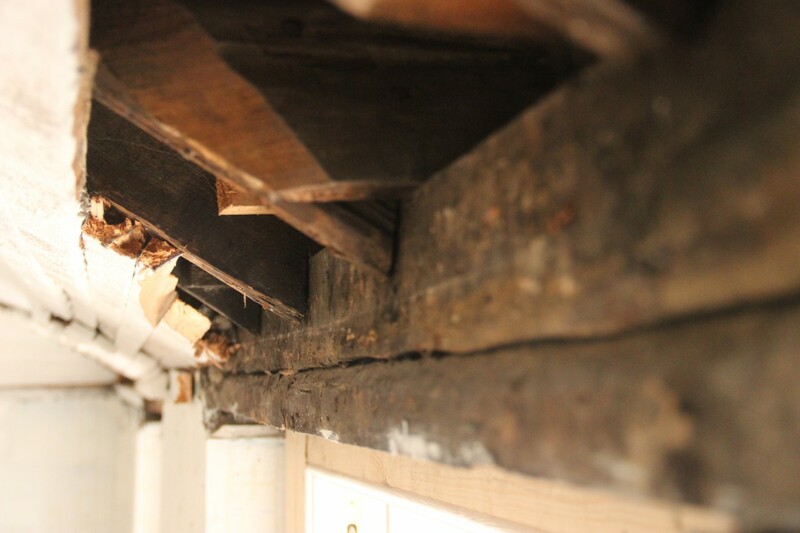 This movement was caused by the removal of internal walls over the course of the 20th century and historic water ingress that rotted bonding timbers in the outside walls, encouraging outward movement. Poor original detailing also played a part, with insufficient brick bonding to adequately tie walls together. An extensive laser survey of the front and side elevations was undertaken which revealed the precise locations of problematic areas. This enabled a structural strategy to be developed to reinforce and tie these areas into the structural core of the building. Devised by Coghlan Consulting Engineers, this involved the application of a four-storey grid of steelwork applied to the inside face of the side wall, anchored to the brick masonry with a series of 8mm stainless steel ties placed at 600mm centres along the structural grid. In turn, this steel grid was tied back to the superstructure of the building with a series of metal ties and steel plates embedded in the spine and party walls. This approach enabled the complete omission of unsightly pattress plates to the exterior that would otherwise have been required. The stone-arcaded shopfront at the front of the building, which likely dates to 1789 with the upper floors rebuilt above it in 1842, did not provide sufficient structural support for the building’s upper walls. The arched granite stonework and infill masonry required additional engineering restraints to ensure the overall building was adequately supported and to prevent future outward movement. As part of these works, the side arch facing Arran Street East was reopened with its infill blockwork removed. The original design intention of the shopfront had been muddled over time, with opes and entrances moved and the stonework extensively painted over. These later interventions required reversal to reveal the original handsome design. 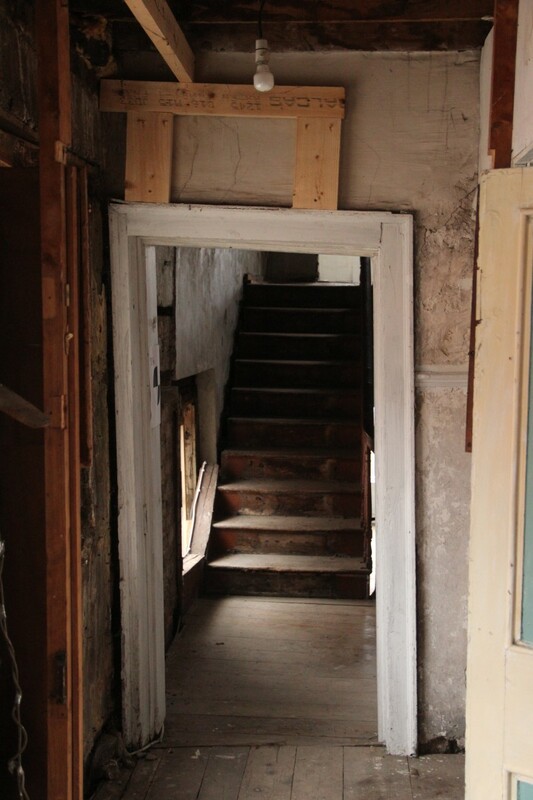 Throughout the building, water ingress over the years rotted a number of embedded timber beams – known as ‘heads’ – over windows and doors, which required replacement. In some places, floor joists and the ends of roof rafters needed splice repairs or replacement for similar reasons. The exterior façades of the building were coated in a rough cement pebbledash finish which was likely applied in the 1950s. In some places, this trapped rainwater behind the cement where it could not evaporate, leading to moisture build-up in the outside walls. The pebbledash also concealed other structural problems including failed flat arches over windows and sagging window aprons. Aesthetically, the pebbledash presented a somewhat crude and non-original finish to the building, disfiguring the elegant yellow brickwork. 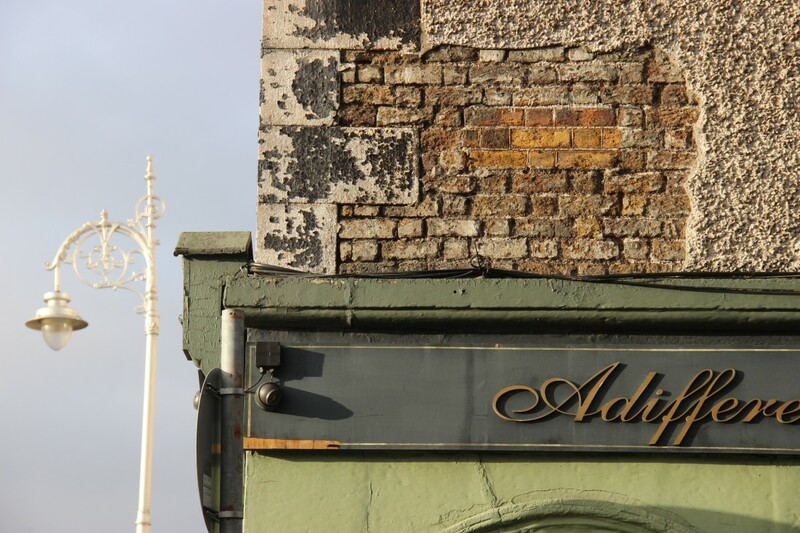 The facades originally featured hand-wigged lime jointing as a sample fortuitously survived on the side elevation beneath a former street sign. Chunky cement reveals to the windows had a similar inappropriate impact around the windows. Like many historic buildings in Dublin that were modified during the 20th century, these cement-based interventions can cause serious unintended structural issues - all of which required investigation as part of the works. Internally, many original lime plaster finishes to walls and ceilings had decayed as a result of water penetration in previous decades. This caused delamination of plaster layers in some cases to wholesale failure of plaster in others, revealing the structural brick underneath. Ceilings were generally in good condition with the exception of the top floor that suffered from past water ingress. Ceilings were repaired where possible using lath and plaster methods while in limited areas complete replacement was required. Breathable insulation strategies, including the use of Calsitherm Climate Board and Diasen Cork-Based Thermal Plaster, were used improve the thermal performance of the building. 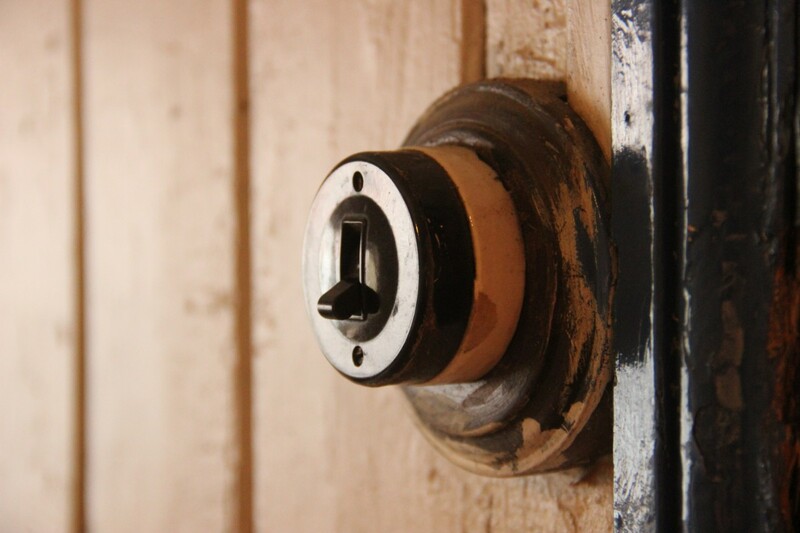 Number 18 featured a dense layering of defunct electrical services from multiple former occupants that included hotel, restaurant, boarding house and gunsmiths. A complete renewal of these services was undertaken to comply with building regulations.